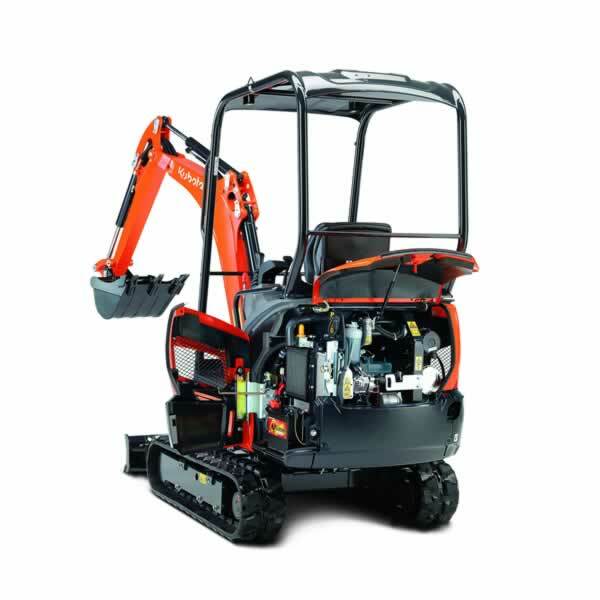 Looking to hire a 1.5 Tonne Mini Excavator? This mini excavator is the smallest in the PAL Hire range. These mini excavators are for hire, UK wide and perfect for smaller sized construction sites. Customer find the smaller excavator size makes them easier to access gardens and sides of residential properties. The 1.5 Tonne Mini Excavator is a versatile machine. Making it ideal for small building projects. Customers use them for project such as landscaping, gardening and driveways. As well as working on small building and industrial projects. The excavator is very useful for digging footpaths and roadwork where access is a premium. Customers hire mini excavators with our popular 1 tonne Hi tip dumper. Making excavation and dumping can be done quickly and effectively. The hitch system on this dumper allows for customer to easily manage attachments. Thus making works more versatile. Although mini diggers are in great demand, we have a good supply. 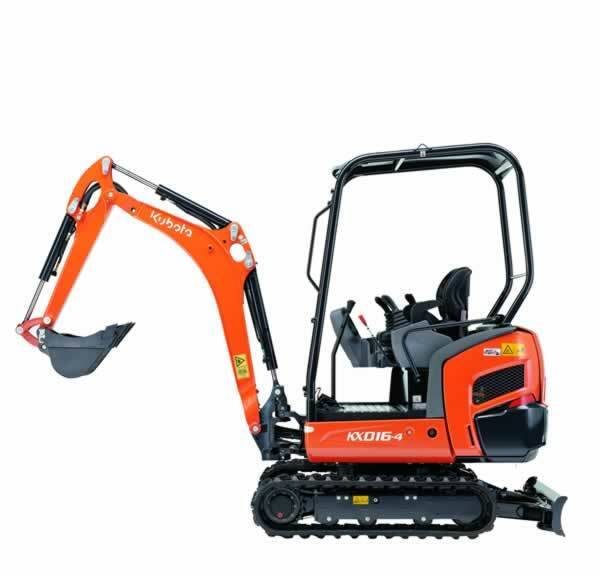 Which means we can have a mini digger delivered to your site anywhere in the UK, consequently we are positioned to supply mini diggers and plant to your project, . Call one of our dedicated team for details and exclusive pricing. Spacious cabin with easy entry and exit. Digital panel showing fuel levels, water temperature among other things. Easy to maintain with all the primary components being on one side. 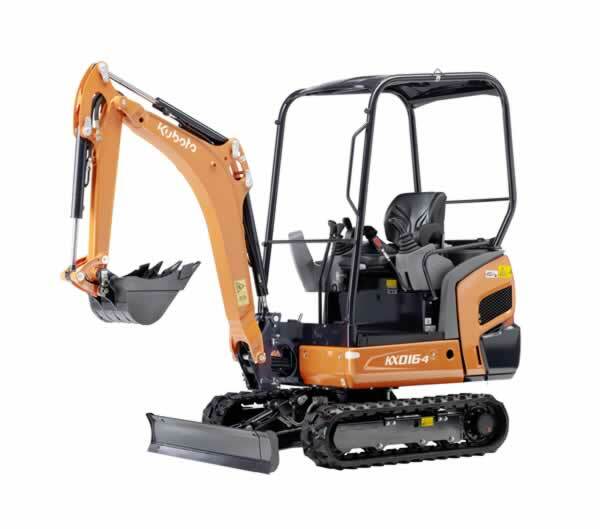 Our range includes the powerful Kubota KX016-4. 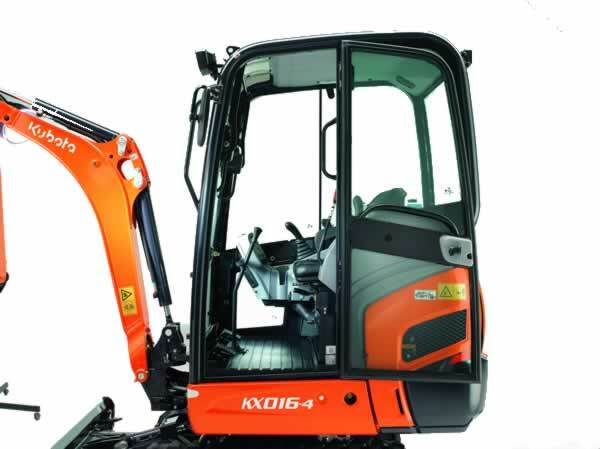 The KX016-4 completes jobs from large construction areas to the tight passages.